There’s still time to find that special gift for your favorite photographer! Everyone is used to the standard black tripod, but why not make a statement this year! The top selling Sirui T-series tripods add a bit of color to every camera bag or backpack! While ideal for compact DSLR cameras, the Sirui T-005 tripod kit really shines (and sparkles) when you match them to a Point & Shoot digital camera! The demand for colored cameras has exploded this holiday season and there’s no better compliment to those colorful cameras than the aluminum Sirui T-005 in stylish RED or BLUE! (Don’t worry, there’s also one in basic black, for the more conservative crowd). And, thanks to Sirui’s special scratch-resistant anodizing treatment, the colors will last a long time! and matching C-10 ball head and Arca compatible quick release plate. For easy carrying and storage, it comes with a soft case. It may be lightweight (weighs only about 2 lbs. ), but it can hold up to 8.8 lbs and the ball head has separate panning and locking knobs for maximum flexibility. Not just a pretty tripod, the T-005 has the features you need – rugged, dependable construction, a forged spider for outstanding strength-to-weight ratio, 1/2 turn leg locks for a lifetime of reliable, secure leg adjustments and 3 leg angle positions to handle any terrain. If you need a lighter solution (weighing only 1.5 lbs.) and higher load capacity (holds up to 13.2 lbs. ), the Sirui T-025 Carbon Fiber version is the choice for you. At a selling price of around $130 for aluminum and $220 for Carbon Fiber you can see that Sirui products have earned their success because they deliver impressive performance at an equally impressive price. The Sirui T-005/025 tripod kit offers the best quality for value in the market today. 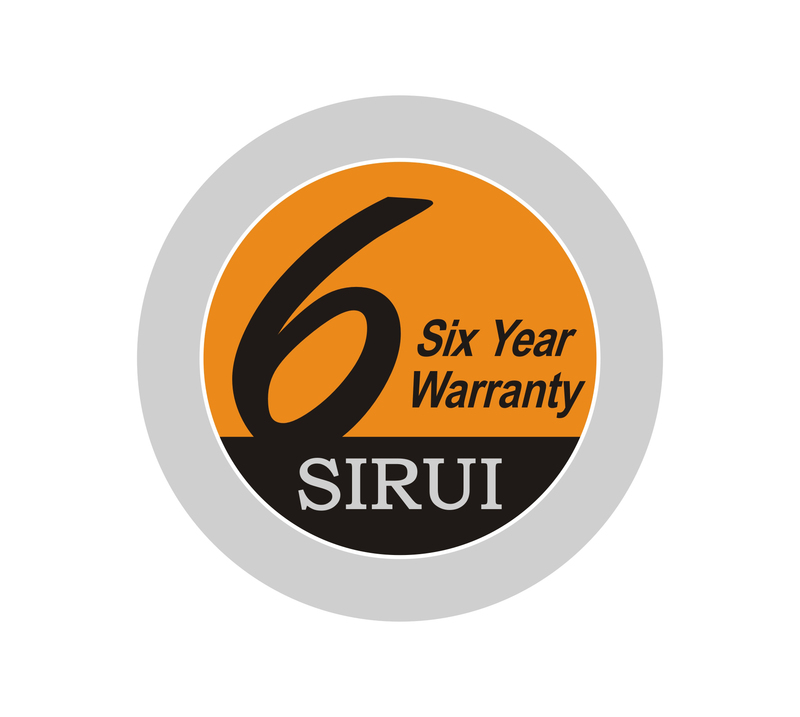 As with all Sirui professional photographic products, the Sirui T-005/025 tripod kit comes with Sirui’s 6 year warranty! This entry was posted in Photographic Equipment and tagged Arca-compatible, ball head, compact tripods, Sirui, Sirui T-005, Sirui T-025, Sirui tripod, travel tripods, tripod, Ultra-compact tripods. Bookmark the permalink.